I am going to be pretty blunt here. 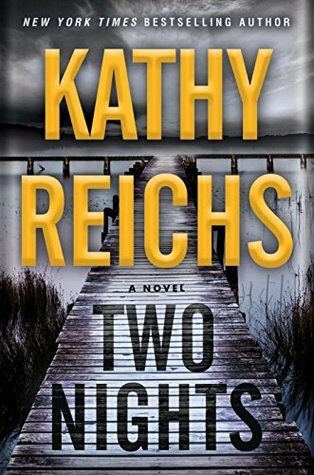 I have never read a book by Kathy Reichs before. Nope, haven’t read the Temperance Brennan series. So I am going into this review of Two Night as a new reader to this author and what I say in this review might not be a popular opinion or go with the flow of the other reviews. I don’t think that Sunnie was supposed to be a likable character. She was too brash and tended to rub me the wrong way while reading. But, I actually enjoyed it. I liked that there was a female main character who was extremely flawed physically (she got stabbed in the eye and lost 30% of her sight) and she carried psychological scars from her time in a cult and overseas. It gave her depth that I rarely see in female main characters in this genre. I did like that Sunnie was kind of forced to open up and rely on people during her investigation into the disappearance of Opaline’s granddaughter, Stella. She called her twin brother, Gus, in to help her when things got a bit out of control in Chicago and then she had to rely on the local police to thwart a terrorist attack and save Stella. Speaking of Stella, I really felt bad that Sunnie got so emotionally involved in finding her. In a way, I feel that she used Stella’s investigation to come to terms with her own awful past. There was a parallel storyline to the main one. This storyline was heartbreaking. Not going to get into it too much but I will say this, I couldn’t figure out if the author was talking about Stella or Sunnie until almost the end of the book. The end of the book was what I expected and then some. I liked the closure that all the storylines got and I am hoping that the author writes another book with Sunnie as her heroine. I would be very interested to see what future books would hold for her.